← From Listeners to Readers? 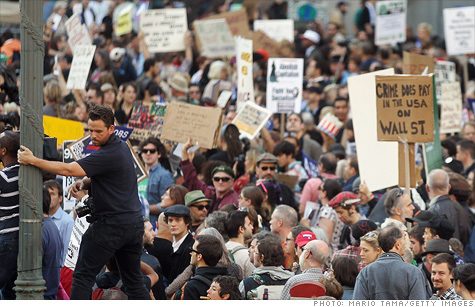 The Underlying Reason We Should All Celebrate the Occupy Wall Street Movement is because it brings us together in a common cause. Whether or not we actually participate, the message is clear: we’re all in this together. 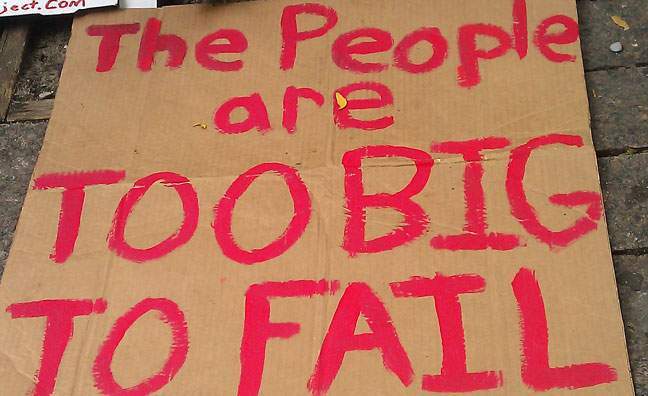 The 99% as well as the 1% —in that we all live here. On Earth. 100% of the time! That we’re all ‘in this together’ was true before September 17th and will continue to be true as long as we draw breath on this beautiful earth. But we forget. It usually takes a 9/11 or any one of our other national tragedies for us to come together and step beyond our individual parameters of family, friends and colleagues. What I saw and experienced last Wednesday, October 5th when I joined the march #OccupyWallStreet down at Foley Square in New York City, was a gathering of New Yorkers in all their rich variety who had come together in a common cause. The mood was one of exhilaration and celebration. There was no anger, only joy. When I left Liberty Plaza to head up to Rector Street and the subway back to Brooklyn, I immediately felt the difference between being part of the group and being just another pedestrian on the city streets. When I came down onto the subway platform to wait for the train, the difference was even more pronounced as the crush of commuters resembled a group—but it was only in size. It wasn’t as if there was any feeling of commonality or camaraderie (like on the march). Down on the subway platform and then on the train, we were all separate individuals, vying for a seat or a spot to stand in while the train rumbled through the tunnel. This is nothing unusual, in fact it is so taken for granted that we don’t stare or look at one another on the trains, that it seems out of place when a spark of our humanity suddenly erupts, snapping us out of the self-induced trance most of us retreat to during these public rides where we guard our private space as best we can. Yet, how wonderful to be shaken out of it—those walls we put around ourselves! Whether or not this ‘new’ movement will have any effect on the powers that be is yet to be known. But one thing is already known to all who have gone down to Liberty Plaza or merely watched it on the screen—we are powerful when we come together. We make a difference when we come together, letting our voices be heard. Because we are not strangers to one another! In fact, we are all ONE. United in a Common Cause, to make this world a better place for all. 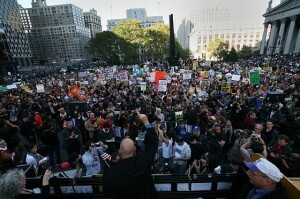 This entry was posted in Uncategorized and tagged Occupy Wall Street, Oneness, Separateness, Togetherness, Unity. Bookmark the permalink. Terrific blog, we ARE all in this together and the sooner more of us get clear on that fact the sooner more of us can be truly happy and at peace. Fascinating contrast you drew between your experiences of Foley Square and the subway make this much more of an impressive movement. We have a dire need for unity among all people everywhere and short of attaining it we face very ominous consequences.